The preparation of Nourishing Herbal Infusions is similar to that of teas; however, the plant material used is greater than in teas, and the soaking time is much longer. While teas brewed for twenty minutes or less are great tasting beverages, the extended soaking time of Nourishing Herbal Infusions ensures our beverages are filled with nutrients and minerals for optimum health. 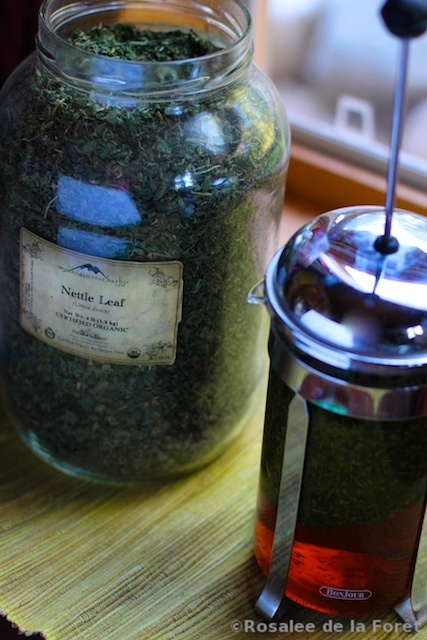 To make my Nourishing Herbal Infusion, I place one ounce of dried leafy herbs in my French coffee press. This is about two cups of dried and sifted nettle leaf. 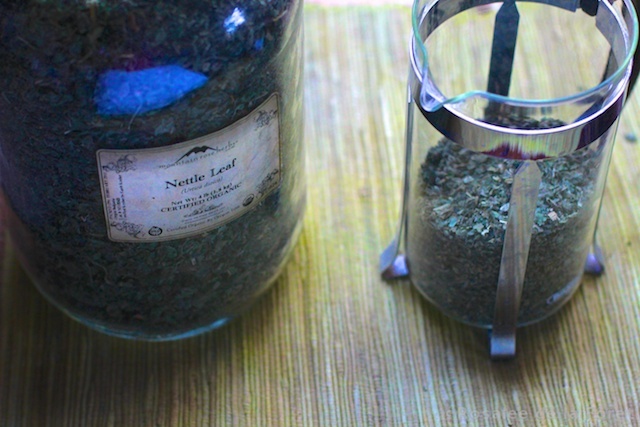 Some herbs, like red clover, are so light it’s hard to get an ounce in the jar. In this case I fill the jar about a 1/3 to 1/2 of the way full. I pour one quart of boiling water over the herbs, cover with the press, and let sit overnight. I like to wrap a towel around the press to keep it warmer, longer. In the morning I strain off the plant material and drink the infusion throughout the day. Alternatively you could make the infusion in the morning to drink at night. If you don’t have a coffee press, simply use a mason jar instead, straining off the herbs with a strainer when it’s ready. Another method is to use a crockpot. This method is a nice way to apply heat for an extended period of time. Place the herbs and water in the crock pot and turn on the lowest setting for 4 - 8 hours or overnight. Whatever you brew your infusion in, be sure to cover it tight so water-soluble vitamins do no escape. After straining, refrigerate and drink within 36 hours. Typically one quart is drank each day. You can make nourishing herbal infusions from leafy material (stinging nettle, comfrey), roots and barks (burdock), flowers (calendula), or seeds and berries (celery seed, lamb’s quarters). The brewing time differs when you are working with these very different plant parts. Flowers and berries tend to be more delicate, while roots and bark need a little more prodding. The following brewing table is taken from Healing Wise, by Susun Weed. 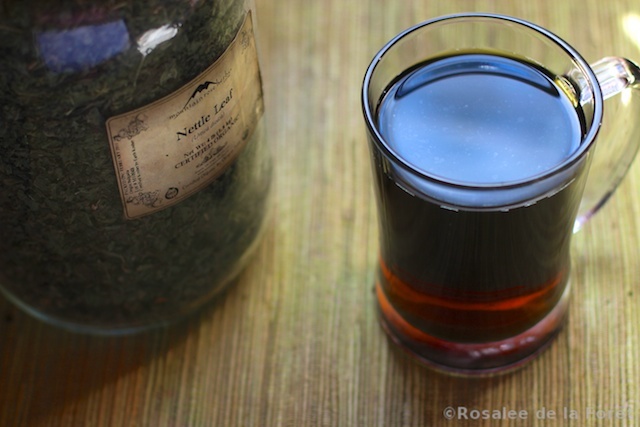 Nourishing Herbal Infusions Part 1: What are Nourishing Herbal Infusions? 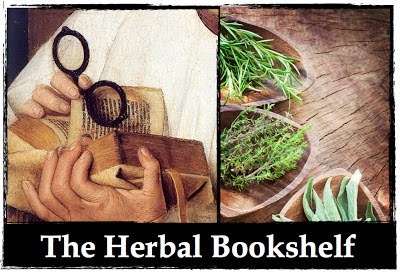 I buy all of my herbs for nourishing herbal infusions at Mountain Rose Herbs. They have high quality and organic herbs at a great price.